This month’s book club pick is Stephen Chbosky‘s 1999 novel The Perks of Being a Wallflower. 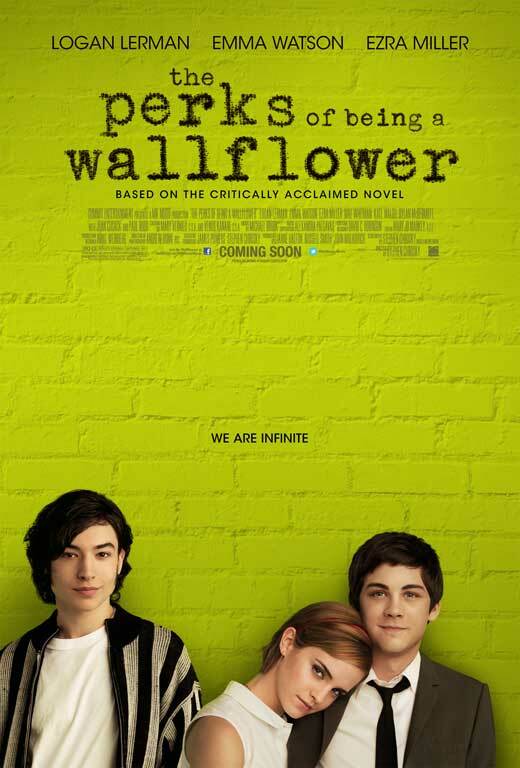 A film adaptation, written and directed by Chbosky was released in 2012. It is unusual for a book author to write and direct a film version of their story. Although Chbosky did graduate from the University of Southern California’s screenwriting programme and write, direct and act in an independent film The Four Corners of Nowhere (1995) before publishing The Perks of Being a Wallflower. He later went on to write he screenplay for film adaptation of the hit Broadway musical Rent (2005) and co-created and executive produced the television drama Jericho (2006-2008). On a side note, Chbosky has written the screenplay for Disney’s live action version of Beauty and the Beast (due for release 2017). He is also one of the screenwriters for The Divergent Series: Allegiant (due out next month). John Hughes, the man behind 80s teen films Sixteen Candles (1984) Weird Science (1985) and The Breakfast Club (1985), and the scriptwriter of the now classic Christmas family films Home Alone (1990) and Home Alone: Lost in New York (1992), initially was attached to write the screenplay but never finished it before his death. Chbosky liked Hughes screenplay so he negotiated the rights from Hughes’ estate and developed it. 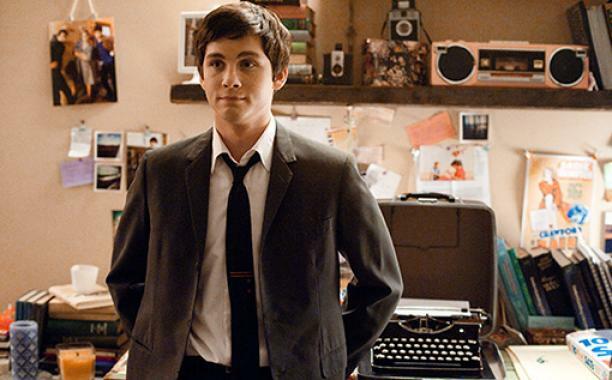 Logan Lerman (Percy Jackson series) portrays Charlie. Emma Watson (Harry Potter series) and Ezra Miller (We Need to Talk About Kevin) portray step-siblings Patrick and Sam, who Charlie befriends. The trio have great onscreen chemistry. This was Watson’s first big role post Harry Potter (after a small role in My Week in Marilyn). She is pretty comfortable with the American accent but it is Miller that steals the show as the flamboyant Patrick. The novel is written is a series of letters from Charlie to an unknown friend. Chbosky uses this narrative function briefly in the film with Lerman doing voice over for the letters but prefers to show rather than tell. Some of the darker incidents of the novel have been cut from the film. Overall it’s a pretty faithful adaptation, the essence of the story is there and the young cast shine in their roles.